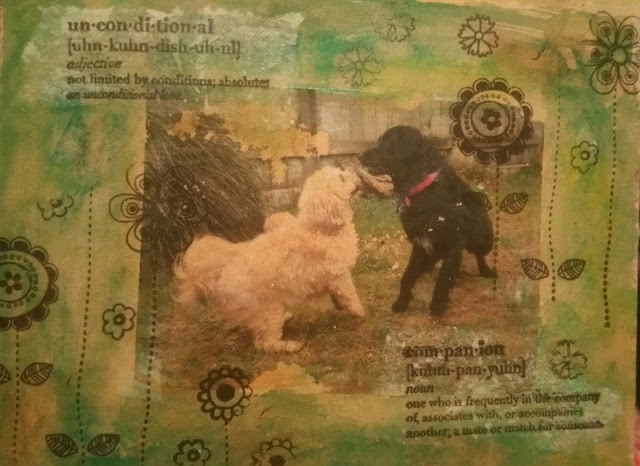 This is actually the practice run I did of a photo transfer I did on a wood block, for a present. 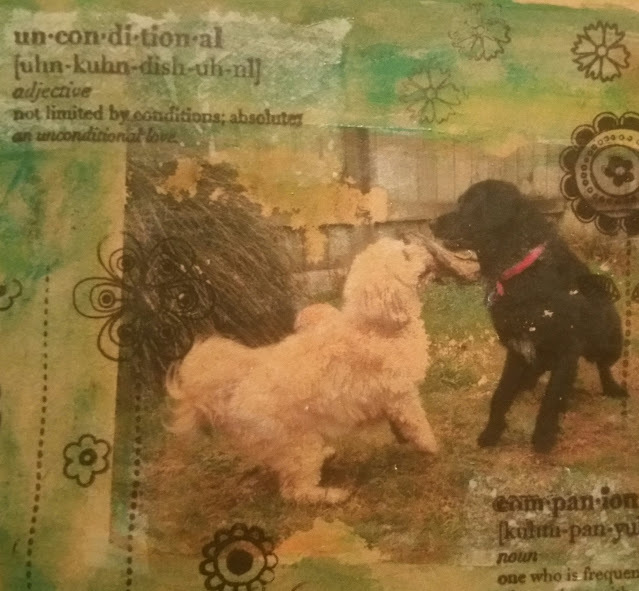 Of course I forgot to take a photo of the one that turned out better, but this is what I have so I am entering in the Simon Says Stamp Monday Challenge - Pets Corner. I was reasonably happy with this as a trial, but the next attempt was much better. I will have to try to get a photo of the final piece when I visit my daughter and post again. Thanks for letting me know. Hopefully it's fixed now.